View our range of Oilon plastic rods here at Bearingboys. 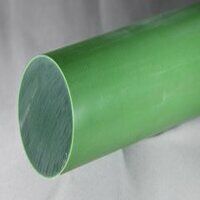 Oilon rod is a superb green nylon product which has been blended with a very effective oil-based lubricant, thus greatly increasing its sliding, abrasion and wear resistant benefits. All next working day delivery orders must be placed by 2.00pm for same day dispatched.